Eğitim yönetimi yazınında, okul yöneticilerinin liderlik stillerinin örgüt kültürü, örgüt içi iletişim, okul başarısı, bilgi yönetimi vb. konularda etkisi olduğu belirtilmektedir. Bu araştırmanın amacı; ortaöğretim okullarında liderlik, örgüt kültürü ve bilgi yönetimi arasındaki ilişkiyi öğretmen algılarına göre ortaya koymaktır. Araştırma ilişkisel tarama modelindedir. Çalışmanın bağımsız değişkenleri liderlik stilleri ve örgüt kültürü; bağımlı değişkeni ise bilgi yönetimidir. Araştırma kapsamında, basit tesadüfü örnekleme yöntemi ile İzmir’in Balçova, Buca, Karabağlar ve Konak ilçelerindeki ortaöğretim okullarında görev yapan 630 öğretmenden veri toplanmıştır. Araştırmada bilgi yönetimine organik kültürde en yüksek katkıyı yönlendirici liderlik; mekanik kültürde ise katılımcı liderlik yapmıştır. Araştırmada kısmi korelasyonlara ve açıklanan varyans değerlerine göre, okullarda organik kültürün mekanik kültüre göre bilgi yönetiminde etkisinin daha yüksek olduğu görülmüştür. Leadership behaviors of school principals in educational institutions would undoubtedly have an important role in a successful knowledge management. The purpose of the present study is to present the relationships among leadership, organizational culture and knowledge management in secondary schools based on teachers’ perceptions. The study was designed in the correlational survey design. The independent variables of the study are leadership styles and organizational culture; and the dependent variable is knowledge management. Simple random sampling method was used in the research. Data were collected from a total of 630 teachers working at secondary schools in the central districts of Balçova, Buca, Karabağlar and Konak in Izmir. The study found that the highest contribution to knowledge management was made by instrumental leadership in the organic culture while it was by participative leadership in the mechanistic culture. According to the partial correlations and the values of variance explained in the study; organic culture was observed to have a greater effect on knowledge management than mechanistic culture at schools. Ayral, M. (2007). Okulda bilgi yönetimi model önerisi kapsamında yönetici ve öğretmen görüşlerine göre Ankara ili okullarının değerlendirilmesi [Evaluation of the schools of Ankara province according to the views of manager and teacher in the extent of a model suggestion of knowledge management at school]. (Yayımlanmamış doktora tezi). Ankara Üniversitesi, Eğitim Bilimleri Enstitüsü, Ankara. Barutçugil İ. (2002). Bilgi yönetimi. İstanbul: Kariyer Yayıncılık. Buluç, B. (1998). Bilgi çağı ve örgütsel liderlik. Yeni Türkiye Dergisi 21. yy.Özel Sayısı, 20, 1205-1213. Cameron, K. S. ve Quinn, R. E. (1999). Diagnosting and changing organizational culture. based on the competing values framework.New York: Addison-Wesley, NY. [Çevrim-içi: http://books.google.com.tr/books?id=blRwWniTsUAC&pg=PA25&hl=tr&source=gbs_toc_r&cad=4#v=onepage&q&f=false], Erişim Tarihi: 10/02/2013. Celep, C. ve Çetin, B. (2005). Teachers' perception about the behaviours of school leaders with regard to knowledge management. International Journal of Educational Management, 19(2), 102-117. Chase, R. L. (1997). The knowledge based organization: An international survey. Journal of Knowledge Management, 1(1), 38-49. Conger, J. A. ve Kanungo, R. N. (1988). The empowerment process: Integrating theory and practice. Academy of Management Review, 13(3), 471-482. Çakar, N. D., Yıldız, S. ve Dur, S. (2010). Bilgi yönetimi ve örgütsel etkinlik ilişkisi: Örgüt kültürü ve örgüt yapısının temel etkileri [The relationship between knowledge management and organizational effectiveness: The effects of organizational culture and structure]. Ege Akademik Bakış, 10(1), 71-93. Çetinkaya, A. (2012). Örgütsel bilgi yönetim sürecinde bilgi yönetim performansı boyutları: Ölçek geliştirme ve geçerliliği üzerine bir araştırma [Dimensions of information management performance in organizational information management processes: A research of scale development]. Öneri- Marmara Üniversitesi Sosyal Bilimler Enstitüsü Dergisi, 10(38), 157-162. Çınar, İ. (2004, Temmuz). Bilgi yönetiminde eğitim yöneticilerinin yeterlikleri: Malatya örneği [Competence of educational administrators in knowledge management]. XIII. Ulusal Eğitim Bilimleri Kurultayı, İnönü Üniversitesi, Eğitim Fakültesi, Malatya. De Long, D. W. ve Fahey, L. (2000). Diagnosing cultural barriers to knowledge management. Academy of Management Executive, 14(4), 114–127. Demirel, Y. ve Seçkin, Z. (2008). Bilgi yönetimi uygulamasında etkili olan faktörler üzerine mobilyacılık sektöründe bir araştırma [A research in furniture industry concerning the factors having an impact on implementation of knowledge management]. ZKÜ Sosyal Bilimler Dergisi, 4(8), 107-122. Dixon, M. L. ve Hart, L. K. (2010). The impact of path-goal leadership styles on workgroup effectiveness and turnover intention. Journal of Managerial Issues, 22(1), 52-69. Fullan, M. (2002, Mart). The role of leadership in the promotion of knowledge management in schools. OECD Conference. [Çevrim-içi: http://www.oecd.org/edu/school/2074954.pdf], Erişim Tarihi: 13/01/2013. Gan, G. G. G., Ryan, C. ve Gururajan, R. (2006). The effects of culture on knowledge management practice: A qualitative case study of msc status companies. Kajian Malaysia, 24(1&2), 97-128. Goel, A. ve Rana, M. S. (2013). Therelationship between knowledge management and organizational leadership. [Çevrim-içi: http://www.iimahd.ernet.in/library/PDFs/conf/026%20KMAlok.pdf], Erişim Tarihi: 10/02/2013. Gold, H.A., Malhotra, A. ve Segars, A. H. (2001). Knowledge management: An organizational capabilities perspective. Journal of Management Information Systems, 18(1), 185-214. Gupta, A. K. ve Govindarajan, V. (2000). Knowledge management's social dimension: Lessons from nucor steel. Sloan Management Review, 42(1), 71-81. Gümüştekin, G. E. (2004). Bilgi yönetiminin stratejik önemi [The strategic importance of knowledge management]. Atatürk Üniversitesi İktisadi ve İdari Bilimler Dergisi, 18(3-4), 201-212. Holowetzki, A. (2002). The relationship between knowledge management and organizational culture: An examination of cultural factors that support the flow and management of knowledge within an organization. (Master of science). University of Oregon, Beaverton. Islam, M. Z., Ahmed, S. M., Hasan, I. ve Ahmed, S. U. (2011). Organizational culture and knowledge sharing: Empirical evidence from service organizations. African Journal of Business Management, 5(14), 5900-5909. İpçioğlu İ. (2004). İşletmelerde liderlik ve örgüt kültürünün bilgi yönetimi etkilerinin incelenmesine yönelik bir araştırma. (Yayımlanmamış doktora tezi). Dumlupınar Üniversitesi, Sosyal Bilimler Enstitüsü, Kütahya. İpçioğlu İ. ve Erdoğan Z. (2005). İşletme stratejisinin belirlenmesinde bilgi yönetimi altyapısının analizi [The analysis of the knowledge management infrastructure in business strategy formulation]. Anadolu Üniversitesi Sosyal Bilimler Dergisi, 2005/2, 89-112. Jones, M. B. (2009). Organizational culture and knowledge management: An empirical investigation of U.S. manufacturing firms. (Yayımlanmamış doktora tezi). Nova Southeastern University, USA. Jones, M. B., Mujtaba, B. G., Williams, A. ve Greenwood, R. A. (2011). Organizational culture types and knowledge management in U.S. manufacturing firms. 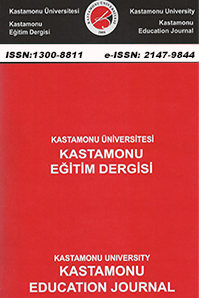 Journal of Knowledge Management Practice, 12(4), http://www.tlainc.com/articl284.htm (Erişim Tarihi: 29/03/2013). Kangas, L. M. (2009). Assessing the value of the relationship between organizational culture types and knowledge management initiatives. Journal of Leadership Studies, 3(1), 29-38. Kim, S. (2000). The roles of knowledge professionals for knowledge management. INSPEL-International Journal of Special Libraries, 34(1), 1-8. [Çevrim-içi: http://forge.fh-potsdam.de/~IFLA/INSPEL/00-1kise.pdf], Erişim tarihi: 10/01/2013. Lang, J. C. (2001). Managerial concerns in knowledge management. Journal of Knowledge Management, 5(1), 43-57. Lawshe, C. H. (1975). A quantitative approach to content validity. Personnel Psychology, 28, 563-575. Lin, H. E. ve McDonough III, E. F. (2011). Investigating the role of leadership and organizational culture in fostering innovation ambidexterity. IEEE Transactions on Engineering Management, 58(3), 497-509. Lopez, S. P.,Peon, J. M. M. ve Ordas, C. J. V. (2004). Managing knowledge: The link between culture and organizational learning. Journal of Knowledge Management, 8(6), 93–104. Malik, S. H. (2012). A study of relationship between leader behaviors and subordinate job expectancies: A path-goal approach. Pakistan Journal of Commerce and Social Sciences, 6(2), 357-371. Mathieu, J. E. (1990). A test of subordinates' achievement and affiliation needs as moderators of leader path-goal relationships. Basic and Applied Social Psychology, 11(2), 179-189. McInerney, C. (2002). Knowledge management and the dynamic nature of knowledge. Journal of The American Society for Information Science and Technology, 53(12), 1009-1018. Nguyen, H. N. (2009). The impact of leadership behaviours and organisational culture on knowledge management practices in small and medium enterprises. (Doktora tezi). Griffith School of Engineering Science, Environment, Engineering and Technology, Griffith University, Avustralya. Nguyen, H. N. ve Mohamed, S. (2011). Leadership behaviors, organizational culture and knowledge management practices: An empirical investigation. Journal of Management Development, 30(2), 206-221. Ogbonna, E. ve Harris, L. C. (2000). Leadership style, organizational culture and performance: Empirical evidence from UK companies. The International Journal of Human Resource Management, 11(4), 766-788. Rastogi, P. N. (2000). Knowledge management and intellectual capital – The new virtuous reality of competitiveness. Human Systems Management, 19(1), 39-48. Schriesheim, C. ve Von Glinow, M. A. (1977). The path-goal theory of leadership: A theoretical and empirical analysis. The Academy of Management Journal, 20(3), 398-405. Shao, Z., Feng, Y. ve Liu L. (2012). The mediating effect of organizational culture and knowledge sharing on transformational leadership and enterprise resource planning systems success: An empirical study in China. Computers in Human Behavior, 28, 2400-2413. Sökmen, A. ve Boylu, Y. (2009). Yol amaç modeli kapsamında önderlik davranışlarının incelenmesine yönelik bir araştırma. Journal of Yasar University, 4(15), 2381-2402. Thomas, K. W. ve Velthouse, B. A. (1990). Cognitive elements of empowerment: An “interpretive” model of intrinsic task motivation. Academy of Management Review, 15(4), 666-681. Tseng, S. M. (2010). Thecorrelation between organizational culture and knowledge conversion on corporate performance. Journal of Knowledge Management, 14(2), 269-284. Wallen, N. E. ve Fraenkel, J. R. (2013). Educational research: A guide to the process (2. Baskı). New Jersey: Routledge. [Çevrim-içi: https://books.google.com.tr/books?id=8_8xcdqOcIAC&printsec=frontcover&hl=tr&source=gbs_ge_summary_r&cad=0#v=onepage&q&f=false], Erişim Tarihi: 16/07/2015. Xue, Y., Bradley, J., ve Liang, H. (2011). Team climate, empowering leadership, and knowledge sharing. Journal of Knowledge Management, 15(2), 299-312. Yalçınkaya Akyüz, M. (2002). Çağdaş okulda etkili liderlik [Leadership at effective schools]. Ege Eğitim Dergisi, 1(2), 109-119. Yeşil, S. ve Kaya, A. (2012). The role of organisational culture on ınnovation capability: An empirical study. International Journal of Information Technology and Business Management, 6(1), 11-25. Yıldırım, M. (2010). Kamu yönetiminde bilgi yönetiminin gerekliliği üzerine bir inceleme[A study on the need of knowledge management in public administration]. Uluslararası İnsan Bilimleri Dergisi, 7(1),1311-1334. Yu, T. ve Wu, N. (2009). A review of study on the competing values framework. International Journal of Business and Management, 4(7), 37-42. Yukl, G., Gordon, A. ve Taber, T. (2002). A hierarchical taxonomy of leadership behavior: Integrating a half century of behavior research. Journal of Leadership and Organizational Studies, 9(1), 15-32. Yüksek, A. E. (2005). Türk kamu yönetiminde önderlik davranışı [The leadership behaviour in Turkish public administration]. (Yayınlanmamış doktora tezi). A. Ü. Sosyal Bilimler Enstitüsü, Ankara. Zaim H. (2010). Bilgi yönetiminin alt yapısı ve bilgi yönetimi performansı: Türkiye’de bir saha çalışması [Knowledge management infrastructure and knowledge management performance: A field study in Turkey]. Sosyal Siyaset Konferansları Dergisi, 59(2010/2), 51-67. Zhu, V. (C. Y.) ve Sun, L. (2010). The interactive relationship between corporate cultures, leadership style and knowledge management. International Journal of Asian Business and Information Management, 1(3), 54-68. ISNAD ÖZGÖZGÜ, Serdal , ATILGAN, Hakan . "Liderlik Stilleri, Örgüt Kültürü ve Bilgi Yönetimi İlişkisi". Kastamonu Eğitim Dergisi 25 / 4 (July 2017): 1301-1318.